The Internet let out a collective groan when news broke about the unconventional sequel earlier this week. Crocodile Dundee fans can cancel their petitions. It seems the new trailers are really just for a Super Bowl commercial to boost Australian tourism. 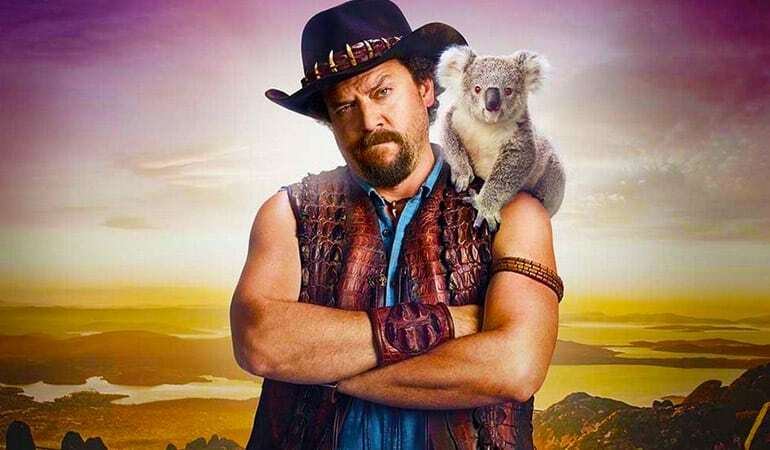 It’s nowhere near April 1st yet but Danny McBride, Chris Hemsworth and Paul Hogan really had us going. Brisbane Times, an Australian publication, is reporting that the whole setup is really nothing more than an elaborate publicity stunt of viral marketing by Tourism Australia. They also go on to point out that Steve Rogers, who is listed on Dundee: The Son Of A Legend Returns Home as the director, is a well-known commercial director in Australia. Congrats, doubters! The Super Bowl airs on February 4, 2018, so keep your eyes peeled for the final version of Dundee. Can’t tell you how relieved I am. The trailer was *awful*. Still woulda been better than Twilight and Dragon Ball Evolution. A little sad that it’s fake.